Today I faced a new error type that I'd never seen before in my many years of experience with SSAS. It was one of the most weird errors that I've seen so far. let me explain that in a scenario; I had a SSAS multi-dimensional cube working and fully processing on the DEV server. then I just copied that to UAT server with a simple backup and restore. OLE DB error: OLE DB or ODBC error: A network-related or instance-specific error has occurred while establishing a connection to SQL Server. Server is not found or not accessible. Check if instance name is correct and if SQL Server is configured to allow remote connections. 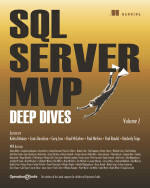 For more information see SQL Server Books Online. ; 08001; Client unable to establish connection; 08001; Encryption not supported on the client. ; 08001. Continue reading "SSAS Processing Failure; OLE DB or ODBC error - 08001"
Most of you faced such situation that you've set the FormatString property of your measures in the cube from BIDS or SSDT, But when you browser the cube in Excel you will not see that format. Let's say you applied format string to add thousands separator, two decimal points, and dollar sign to your Amount measure. But in Excel you just see the number without any formatting. Solution is easy, you would require to change Connection Properties in Excel. Continue reading "Format String Issue of SSAS Measures in Excel Front-End"
SSAS Deployment Error: No Mapping between Account Names and Security IDs was Done. This is a common error in SQL Server Analysis Services (SSAS). when you deploy the project to SSAS Server, you might face this error. There are some user/group membership added to roles in SSAS project, that is not matching with Active Directory user/groups. for example you might find some membership entries with GUID listed in Role Editor, under Membership tab. or you might see some user/group under membership tab, that are no longer exists in Active Directory. Solution is to remove any membership entries that does not match with active directory entries, and the deploy. if you don't know which one is not match, start from those that has GUID instead of user/group name under membership tab. if it still has issue, then one or more of existing user/group listed under that group may be removed from active directory entries. so simply ask Network Administrator to check which user/group of that list are no longer exists. remove that and deploy again. Hope it helps you to save time on this issue. Yesterday in New Zealand Business Intelligence users group, attendees asked some questions that encouraged me to provide some links to Microsoft Articles written on SSAS Tabular. Continue reading "SSAS Tabular - Microsoft Technical Articles"
Yesterday I faced a situation in one of SSAS cubes, which dimension processing was failed because it found two different members with different attribute values, like Auckland and auckland ! Continue reading "SSAS Dimension Processing: Be Careful about Case Sensitivity"